Buy Scientek Washer Sterilizers, for surgical instruments, that deliver reliable, long lasting performance. Scientek Washer Sterilizers, for surgical instruments, cut washer costs. The Scientek Washer Sterilizers are built with locally available nonproprietary replacement parts. 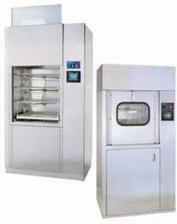 Scientek Surgical Instrument Washer Sterilizer Specifications. The Scientek Washer Sterilizer is a heavy-duty, high volume, washer designed for efficiently cleaning reusable medical devices, utensils, and surgical instruments. 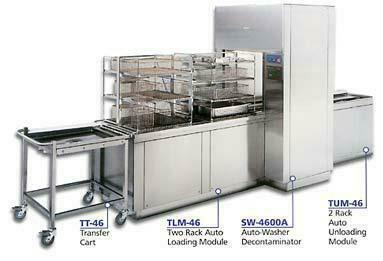 The Scientek Delivers washer disinfector cycle rinse temperatures.